Begin by simply getting your story down. It doesn’t matter if you think it is fabulous or terrible. Just write. At this stage, you are creating the first draft. Following are some tips for getting started, maintaining momentum, and eventually completing the first draft. Set a specific, scheduled time to write. Perhaps you only write 100 words per day. Perhaps you write 1,000 words per day. Maybe you write on the weekend rather than on a week day. Whatever you choose, set reasonable goals in order to stay committed to your new schedule. Although minor editing is acceptable during the drafting process, major changes should take the back burner until you have a completed draft. Revise later. The most important thing is to get the story down. Determine your writing style. 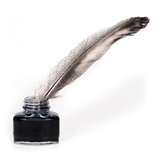 Some writers are benefited by making and following an outline. Others find storyboarding to be advantageous. As you gain in experience, you’ll find out what works best for you. If you follow techniques that are not fruitful, regroup and try a different approach. Be as spontaneous as you dare and avoid spinning your wheels on excessive planning. Choose a different topic each time you follow your scheduled writing session if you find yourself suffering from writer’s block. The important thing is to keep the writing flowing. Accumulate a list of writing prompts. Prompts can be motivating and may be surprisingly versatile and useful when incorporating them as story ideas. Focus on finishing. Be stingy with your time. Don’t squander valuable time by over-focusing on the internet. The ten minutes, half hour, or hour spent checking emails, posting on blogs, or keeping up with social media takes a significant amount of time away from your writing. Make a promise to yourself to eliminate such distractions where possible and minimize time spent on these activities when you simply must attend to them. Research books that help guide and support your writing endeavors. An example of one such reference book is Your First Novel authored by Laura Whitcomb and Ann Rittenberg. Stephanie Theban / http://storiesreademwritem.blogspot.com / 9-07-11 Journaling Your Character / Theban demonstrates how writing a journal about your character can improve your story. / 9-26-10 Character, situation, plot — what comes first? / Theban discusses different approaches to writing a story. Helen Dunlap Newton / http://www.writingjourneyofhelendunlapnewton.blogspot.com / 7-06-11 / People Watching / Watching people (and animals) inspires characters and plots for your stories. Kim Rogers / http://bleary-eyedscribe.blogspot.com / 5-04-11 / Famous Writers on Failure and Success / Inspiring words from authors. / 2-28-11 How to Be a Happy Writer. Lisa Gail Green / http://paranormalpointofview.blogspot.com / 9-01-11 Revision — It’s the Little Things / 8-15-11 / Changing Your Character’s Core / 8-01-11 Getting to the Core of the Character. Becca Puglisi and Angela Ackerman / http://thebookshelfmuse.blogspot.com / Wow! Check out this amazing site! Robyn Lucas / http://www.robynlucas.com /Transitioning in Fiction / Transitions keep your story moving. / 4-18-11 / Maass Mondays — Villains / Lucas discusses tips to develop villains. Donald Maass, literary agent. Tori / http://wildheart90.blogspot.com / 4-04-11 / Revision and What Matters / Tori relates how to keep your writing on track. Nathan Bransford / http://blog.nathanbransford.com / 8-17-10 / How to Write a Novel / Essential elements are spelled out / 5-21-08 / So What Makes Good Dialogue Good Anyway? / Bransford tackles the subject of writing dialogue. Numerous comments give insight on how to accomplish effective dialogue. B. D. Tharp / http://bdtharp.com / 8-22-11 / How to find the right path for your writing. / Tharp gets you started on a road to writing that ends in publication. / 4-20-11 / Persevere … / Tharp gives an inside look on what to do to keep going with your writing. / 9-20-10 / What matters is that … / Why does it matter that you write? / 11-04-09 / Writing Goals / Tharp shares her goals which led to the publication of her novel. Finish your first draft and move on to Step 3, revising.